Posted April 11, 2019 by The Editors . You are invited and you are needed! 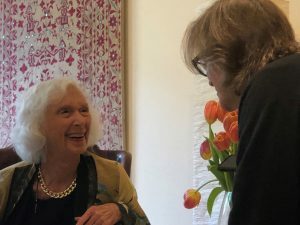 Tomorrow at 9:00am PT we are going to, with Barbara’s ecstatic permission, lift her consciousness as a prayer to the sky, into the highest heavens and beyond. 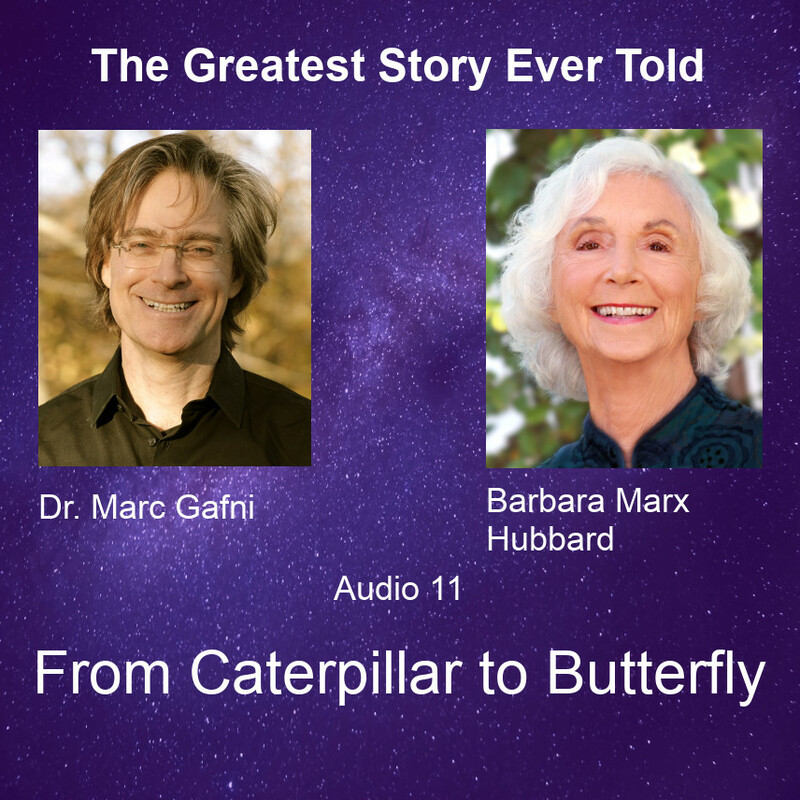 In our 131st week of the Evolutionary One World Church we are holding a celebration memorial service for our Beloved Barbara Marx Hubbard. Barbara’s has promised to join us. Her consciousness is alive and will be present with us. 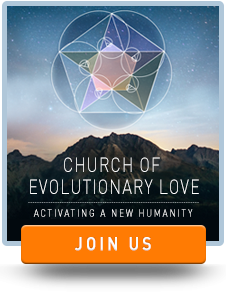 Experience the radical joy that is One World Church of Evolutionary Love. Learn what it means to know your clarified “hearts desire” as the divine desire that drives all of reality. 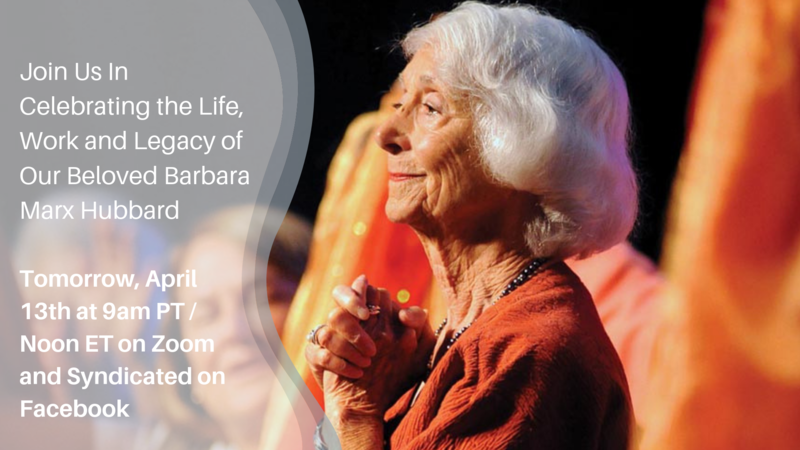 Let’s come together for this momentous celebration honoring Barbara and telling the hidden outrageous love story of her life. Let’s Love it all open to God! 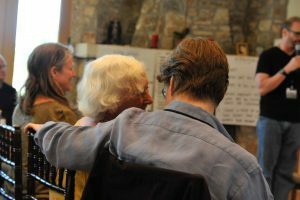 We also invite you to read Marc’s prayer for Barbara and to leave your own prayers and a word or two about how Barbara impacted you in the comments on Barbara’s Facebook page and please share it with your friends! Barbara loved parties, and we want to make this the greatest one ever… we hope to see you there! 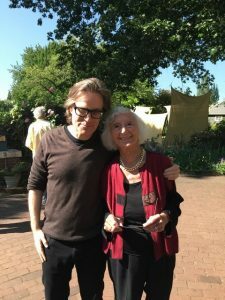 It is with great personal sadness that I share with you that our beloved Barbara has passed into the next world. Barbara you were a blazing light in this world. The Wild Stallions that moved you were yoked to the evolutionary impulse itself. 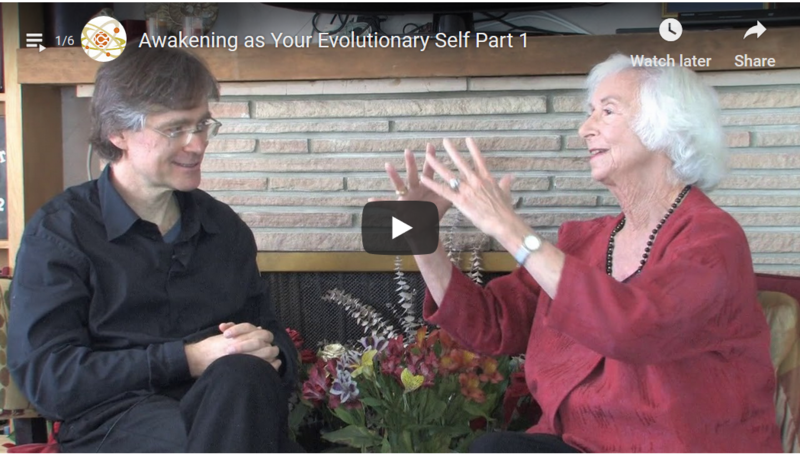 Evolution was awake as you in Person. Reality delighted in having a Barbara experience. You dreamed of social synergy, of the Peace Room, the Office for the Future, you incarnated a vice presidential bid, a historic speech at the democratic national convention, the great foundation for conscious evolution, all of these were the vehicles you audaciously manifested for the impulse. Abraham Maslow, Bucky Fuller, Jonas Salk, and so many more, including this writer, you charmed us all, you recognized us all, you inspired us, you called us forth with you. Barbara, I called you the next morning. The nurse said you were not well. She held the phone to your ear; you said filled with life, “Marc” …and that was the last word you spoke. I flew to the hospital to see you right after church – on the next flight – expecting to meet you after the surgery – awake and fully alive. You did not wake up. Oh my God, I will miss you. Barbara, we will hold a first memorial service for you this Saturday morning at Evolutionary Church. But I know you loved a big party. So for your central memorial service -we will do exactly what you asked us to do. We will – all of us together throw a big Evolutionary Party, live streamed online and in person. We created together the Wheel of Co-Creation 2.0. Together we placed “hearts desire” at the Center of the Wheel of Co-Creation. 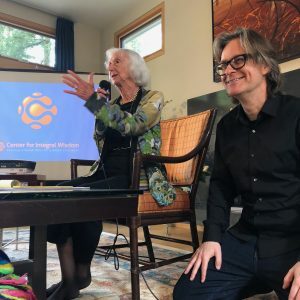 A Great Feminine Co-Creator – reborn again and again through what she called Regenopause – a woman who was getting newer every day and never got older – has left our world. 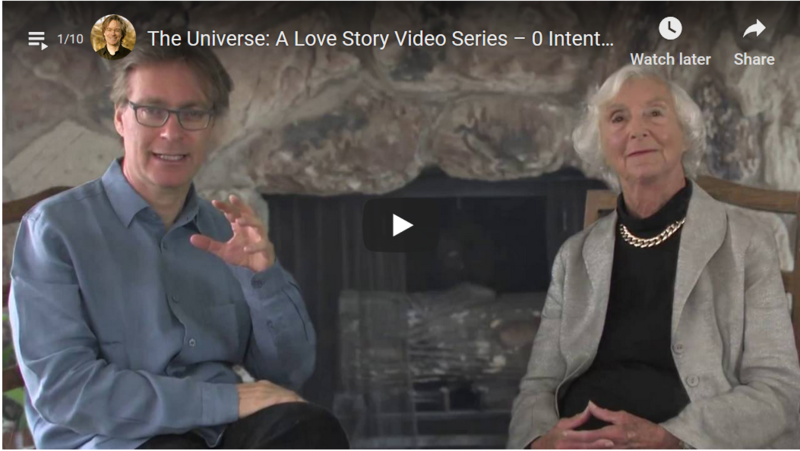 But I/We promise you Barbara, all of us – I/we will continue our EVOLUTIONARY PARTNERSHIP. Deeper than ever, with more evolutionary joy, with radical commitment, with mad love and delight.